DRUG ADDICTS TAKE OVER THE BUILDING! 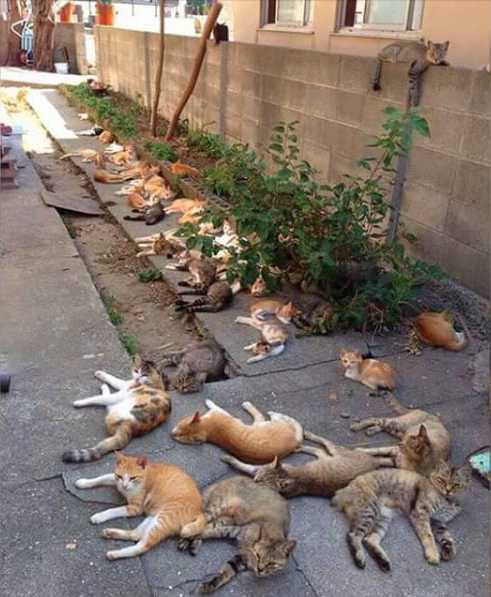 What should a landlord do if a tenant says to him: “Can I plant catnip around the building?” A landlord may think: “What harm could that do?” Well, look at the photo below! This is what happens – the addicts show up, get all doped up, and take over the property!